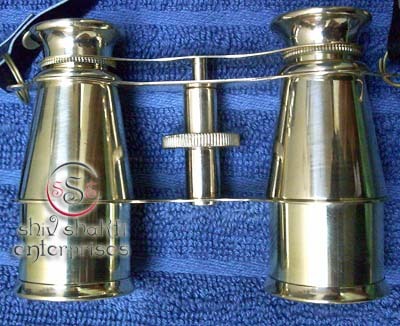 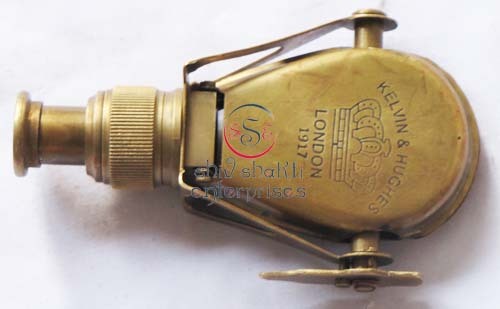 Attractive nautical brass binocular. 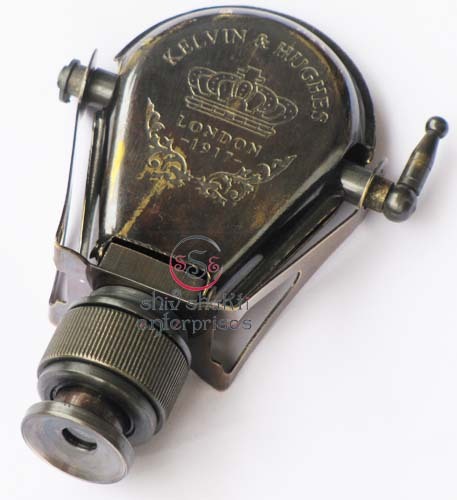 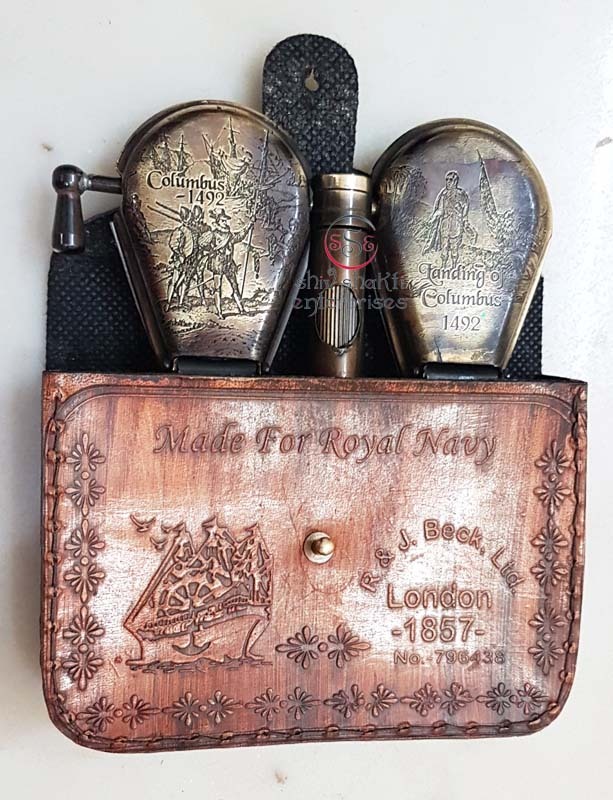 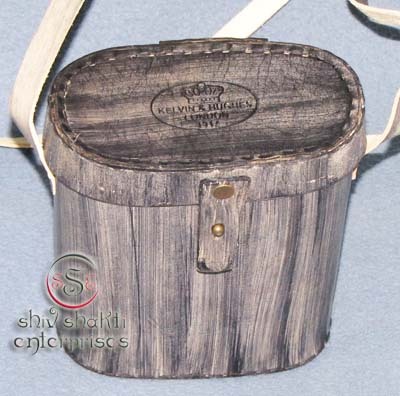 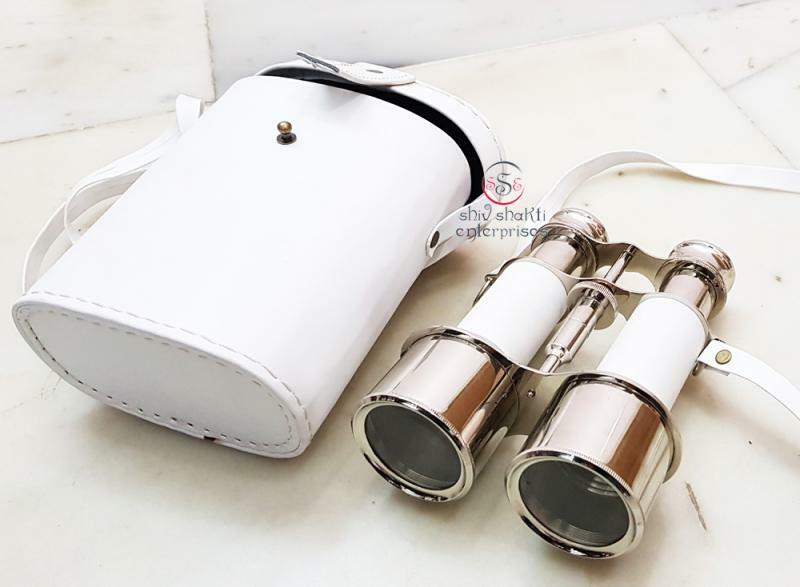 which makes it very beautiful gift for anyone.We offer high quality nautical reproduction handicrafts such as nautical binoculars.All work is hand made.It is a best gift for collectors. 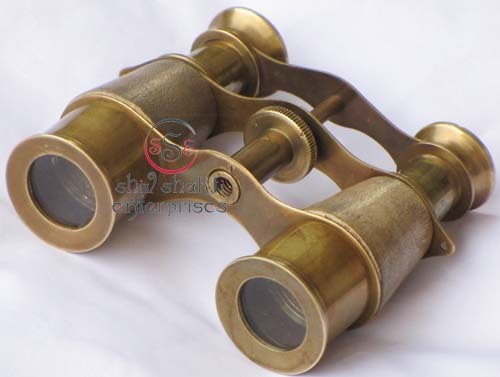 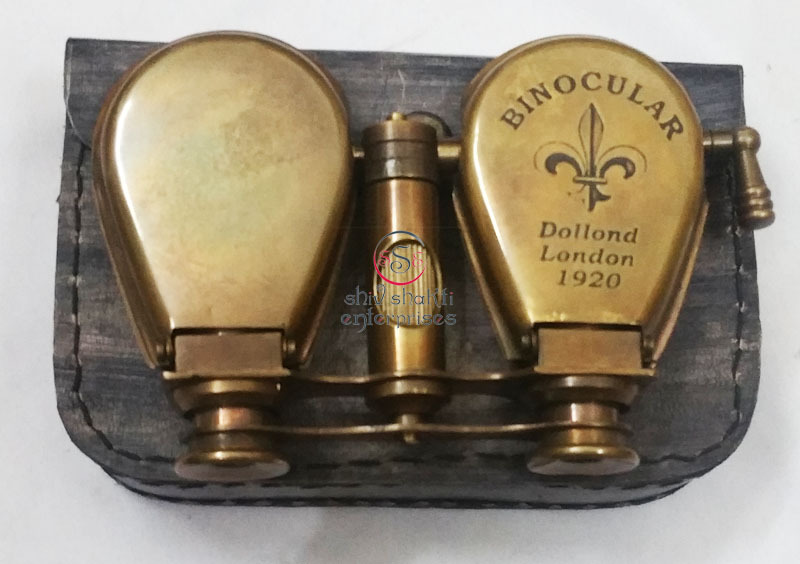 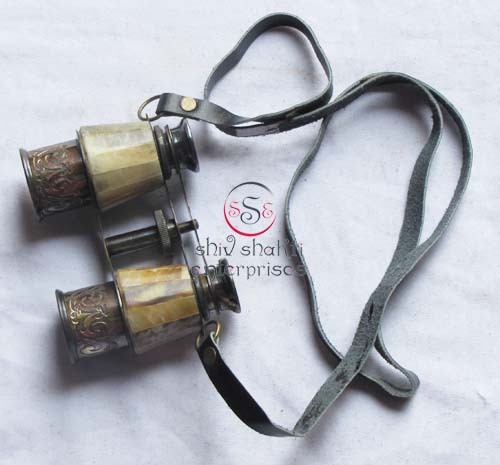 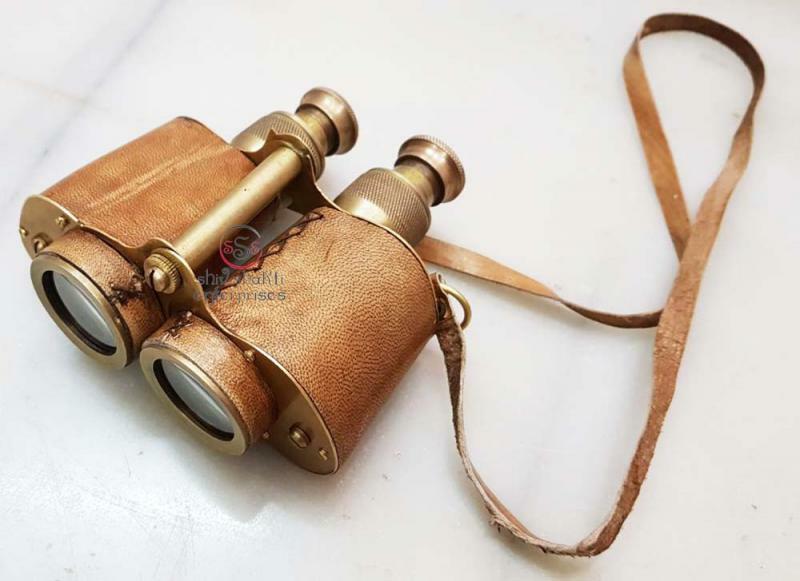 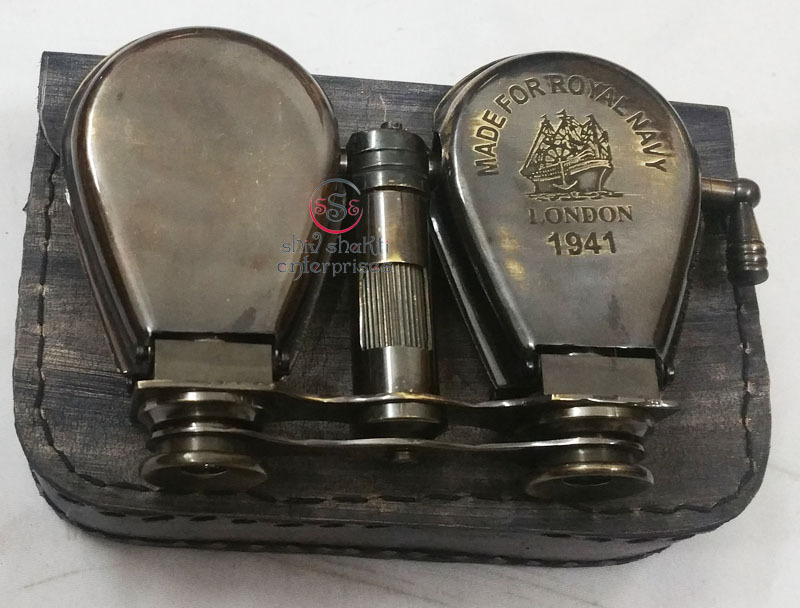 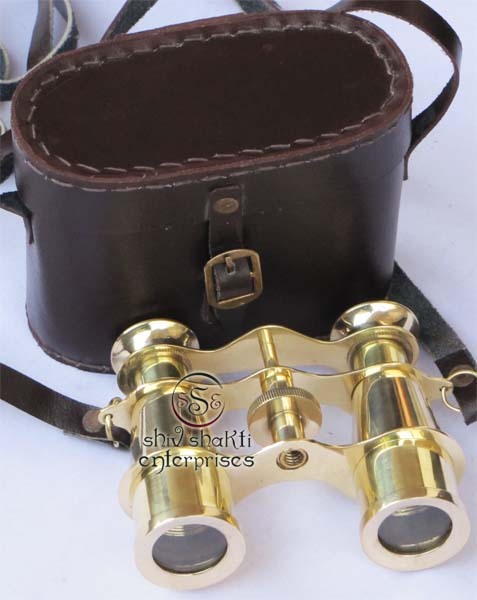 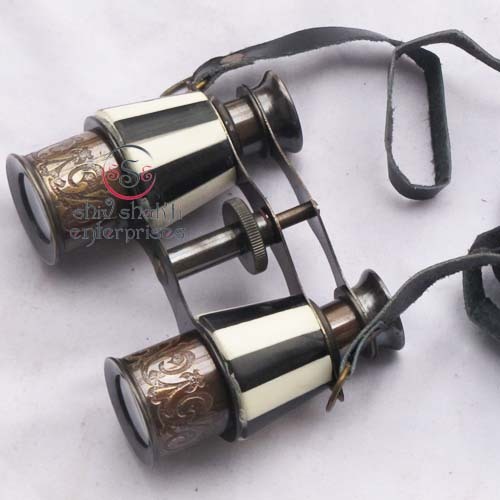 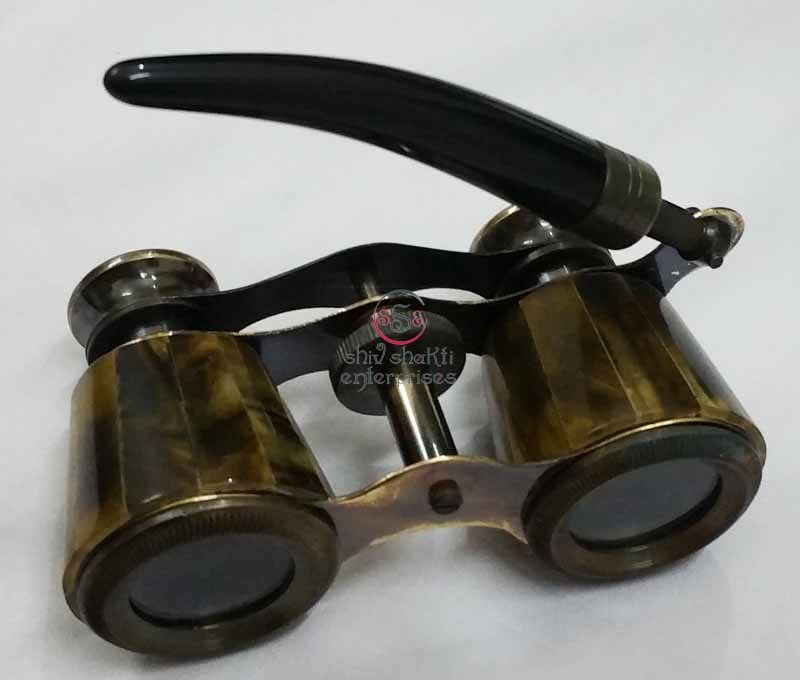 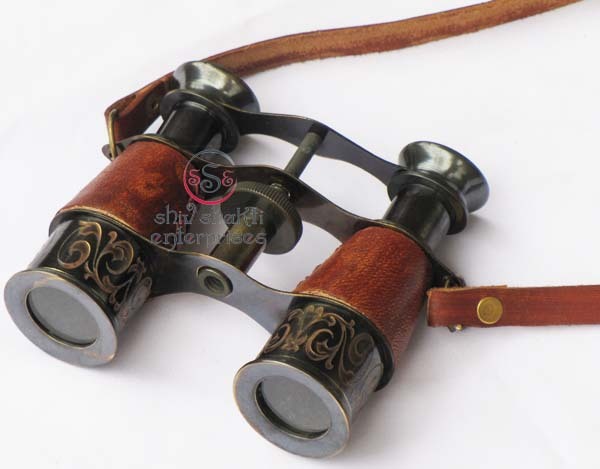 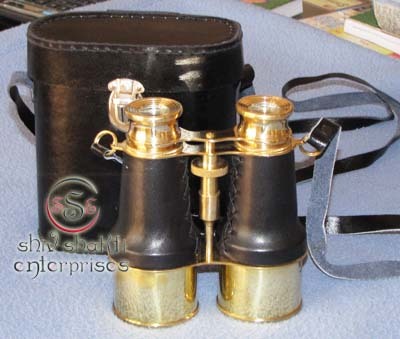 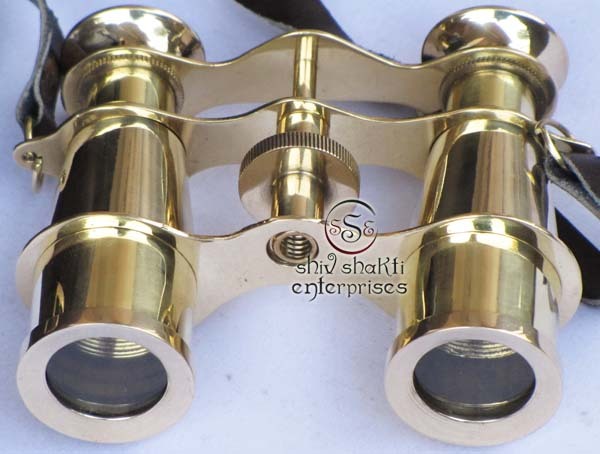 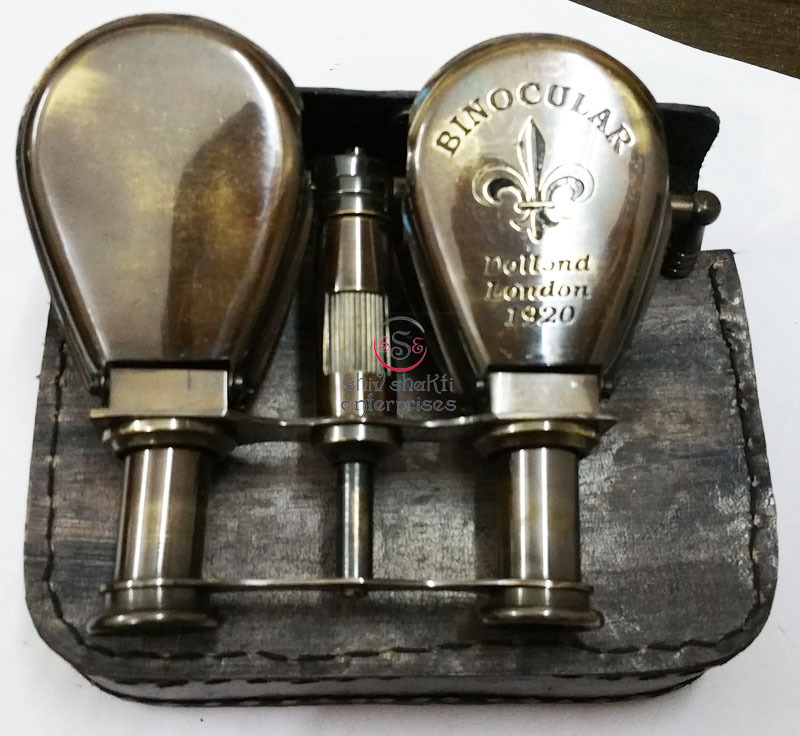 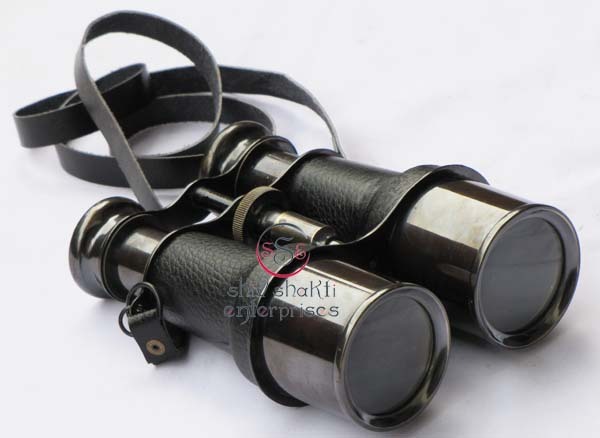 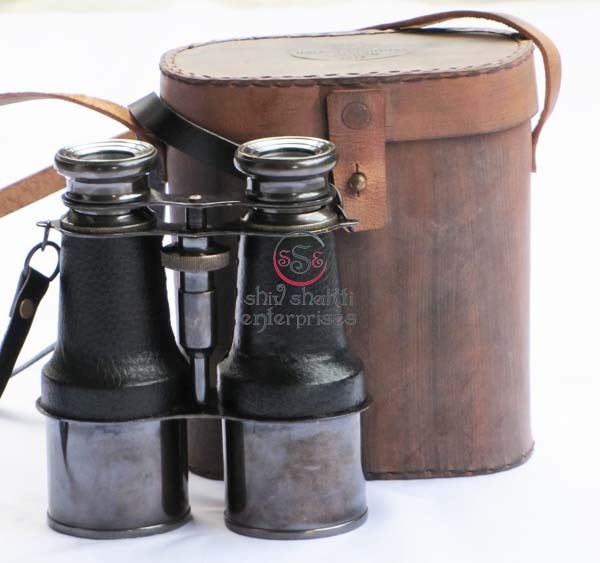 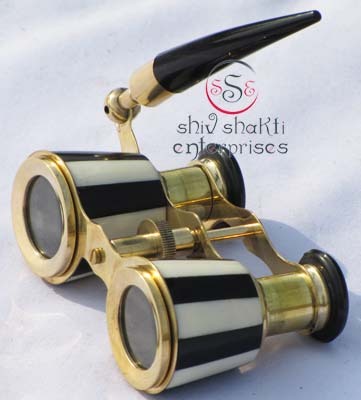 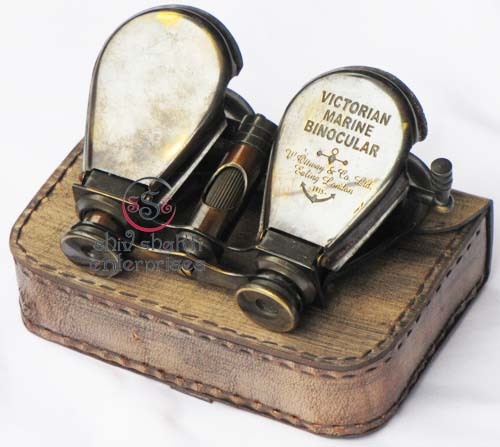 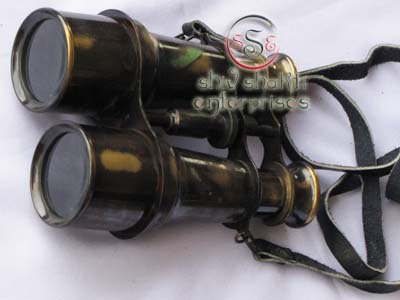 These binoculars, perfect for the office.Our antique binoculars are made by using high quality solid brass,polished﻿.We have lot of binoculars.Attractive nautical brass binocular with extendable brass stand which makes it very beautiful gift for anyone. 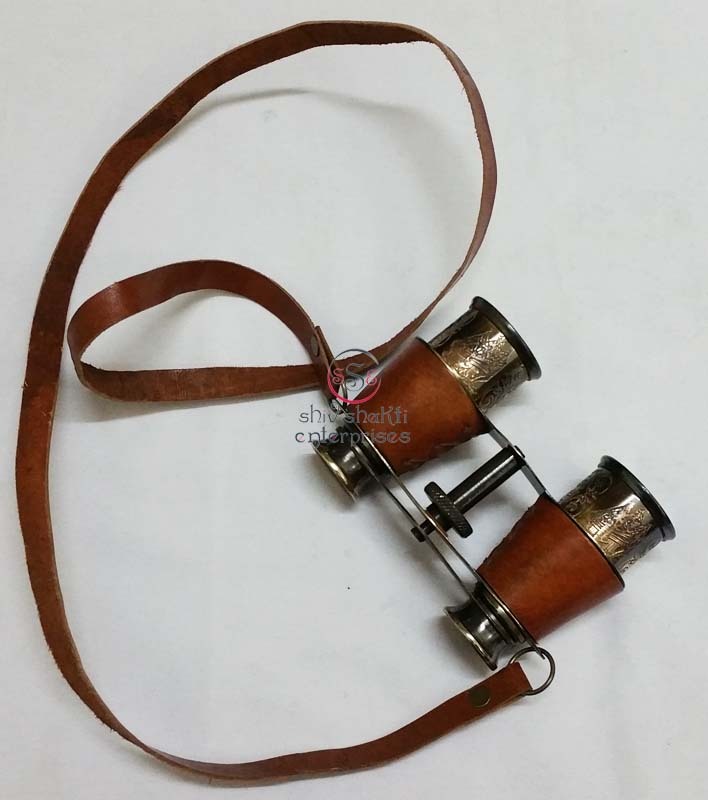 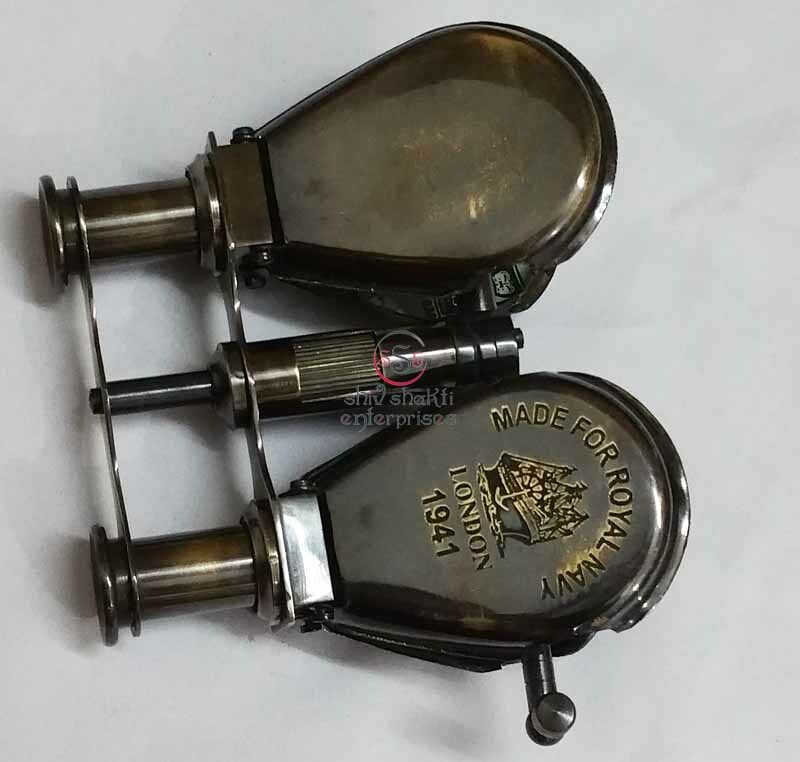 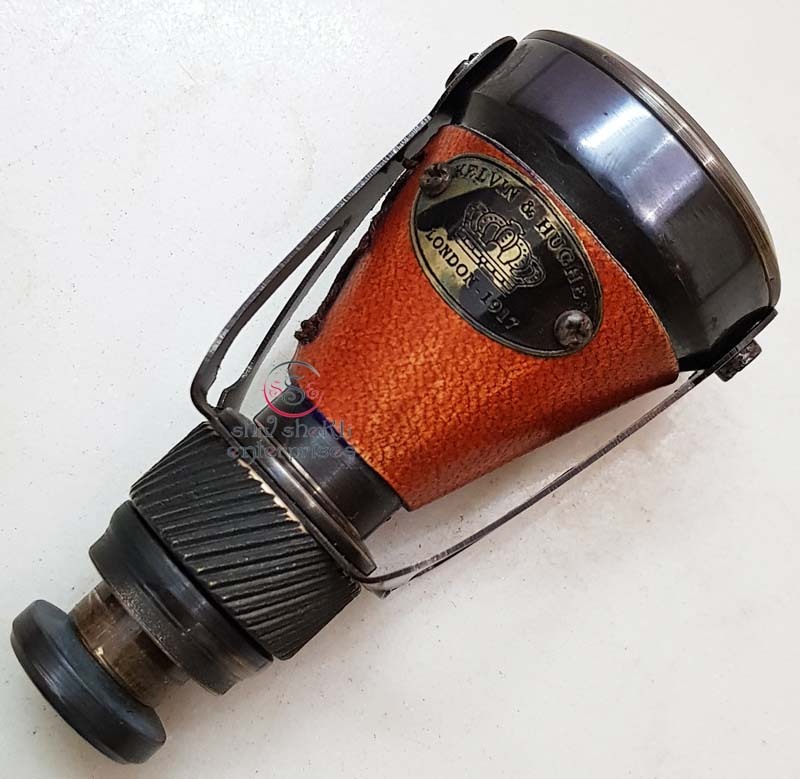 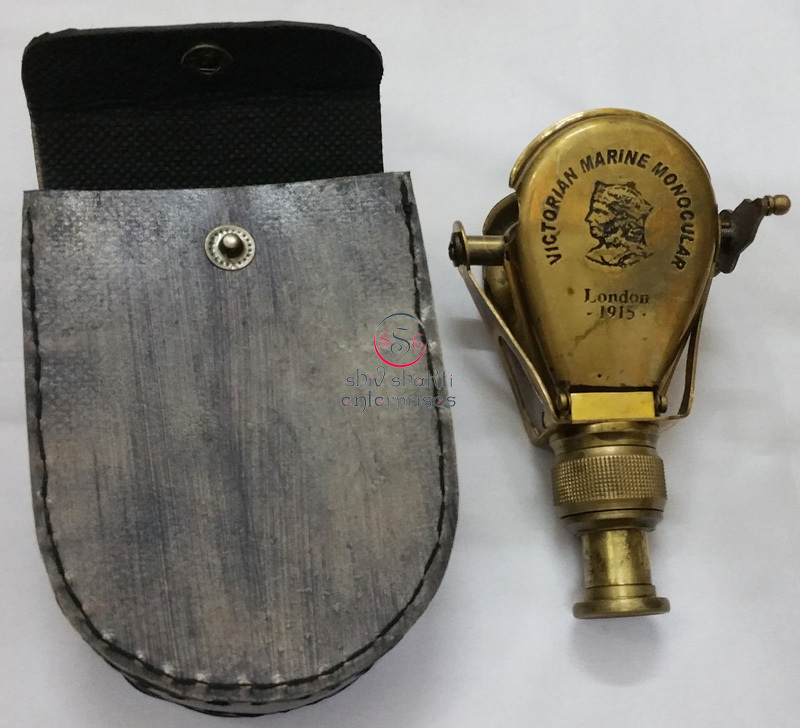 We offer high quality nautical reproduction handicrafts such as nautical binoculars.﻿﻿We have lot of Binocular.Made of brass & Red Leather Sheathed.All work is hand made.it is a best gift for collectors.A beauiful Binocular. 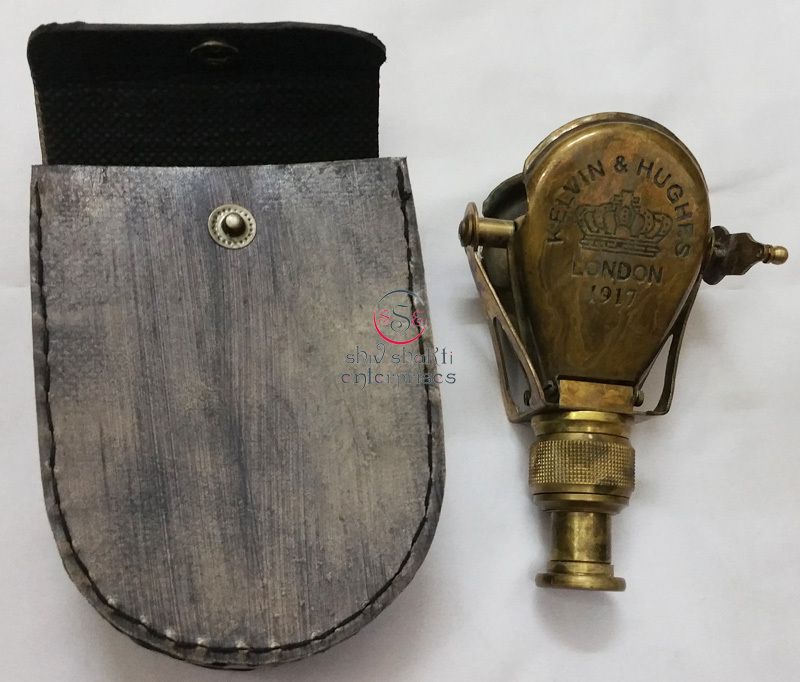 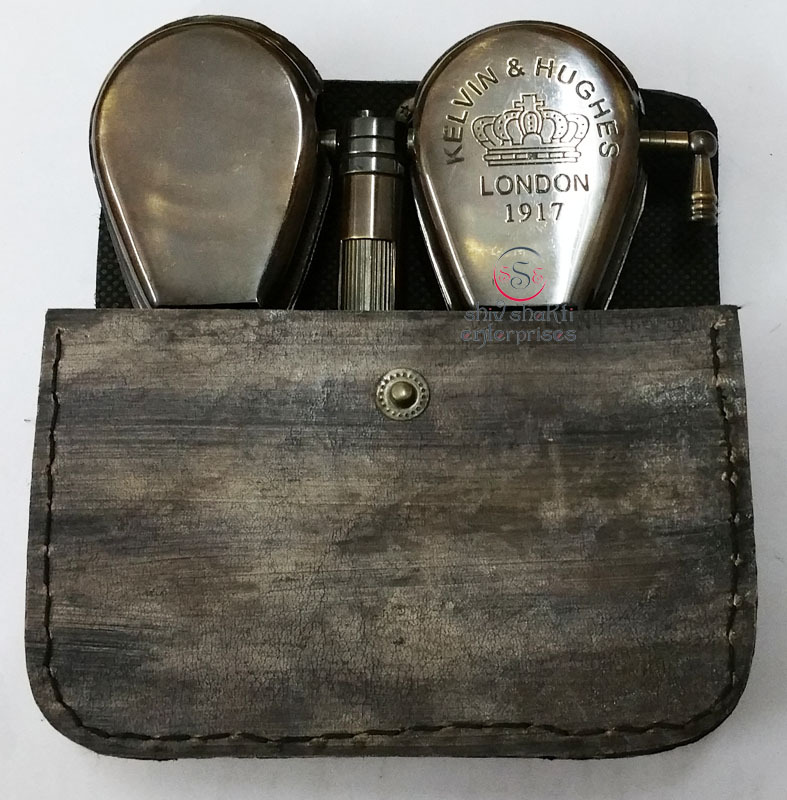 Leather Cover Ht:- 8.5cm. 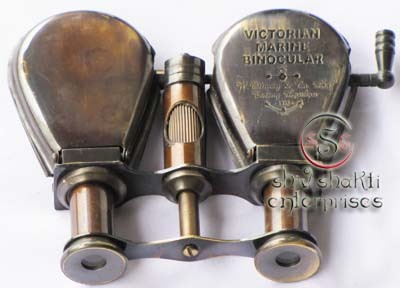 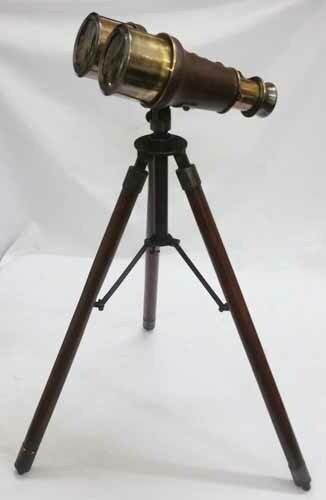 Binocular Long:- 8cm. 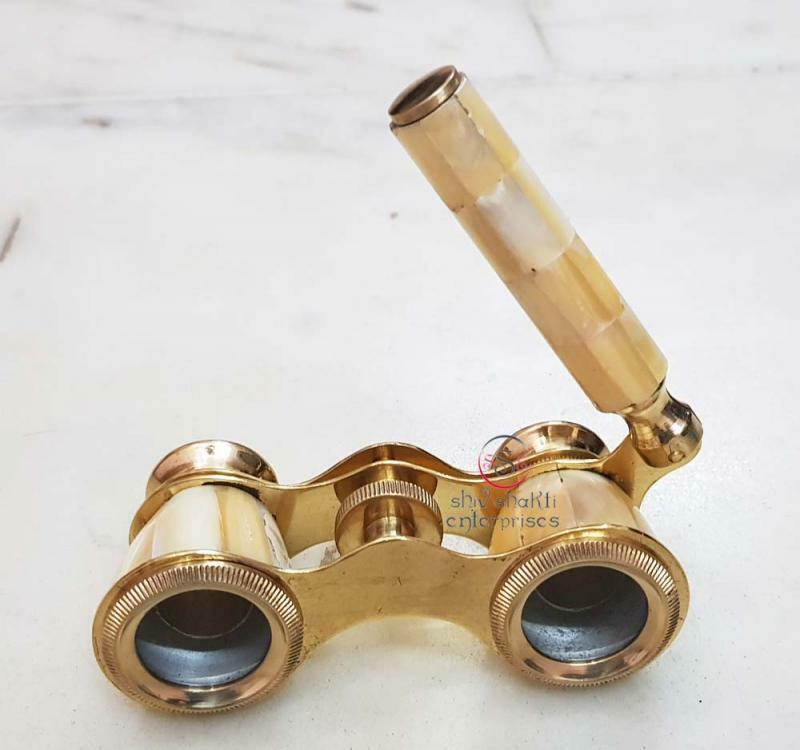 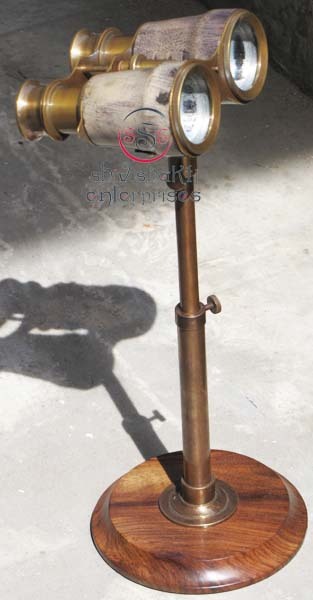 We offer high quality nautical reproduction handicrafts such as nautical binoculars.﻿﻿We have lot of Binocular.All work is hand made.it is a best gift for collectors.A beauiful Binocular with stand. 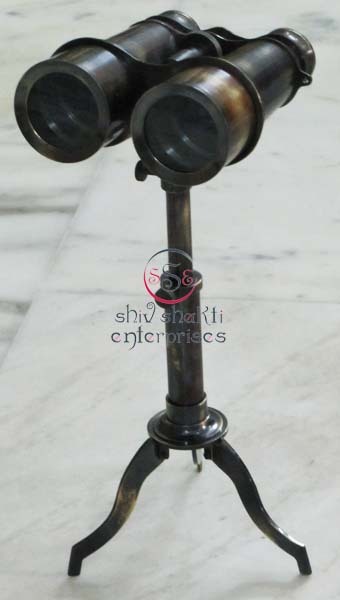 When Stand is full open Total Ht:- 36cm. 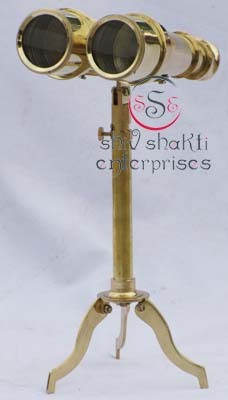 When Stand is full open- Total Ht:- 32cm. 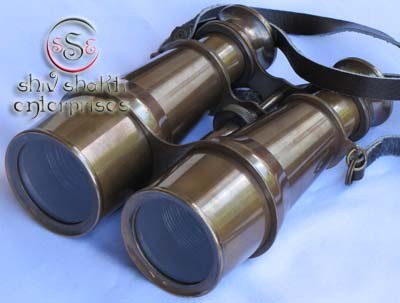 ﻿﻿We offer high quality nautical reproduction handicrafts such as nautical binoculars.﻿﻿We have lot of Binocular.Made of brass. 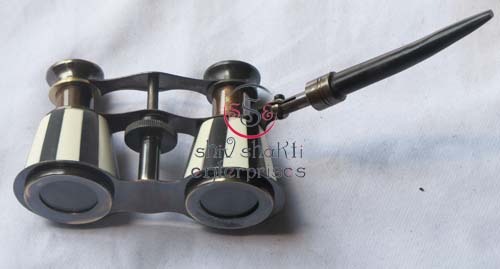 All work is hand made.it is a best gift for collectors.